The Indian leather industry which is the fourth largest export industry in the world, is growing by leaps and bounds. India not only exports leather goods and footwear to western countries, but leather is also consumed in large quantities by the domestic market. It is one of the largest foreign exchange earners for the country. With more and more multinationals coming to India, this industry is poised to become a hi-tech one. Leather has become part and parcel of modern accessories, in possession of almost all sections of people. Everybody uses leather in some form or the other and it is always in demand for fashion, sport and comfort. The largest share of the industry is still footwear, despite growing competition from materials like synthetics and fabric. Besides footwear, Leatherwear constitutes a variety of products ranging from accessories like belts, luggage and bags, jackets, gloves, purses and caps to toys, upholstery, baggage, musical instruments, garment tags, gift items etc. Leather is a natural, three dimensional non-woven fabric not easily or completely duplicated in other material. The utility of leather is attributed to its specific properties as a natural product like strength, comfort and durability. Leather technology is a branch of engineering which deals with synthesis, production and refining of leather so that it can be put into efficient use. 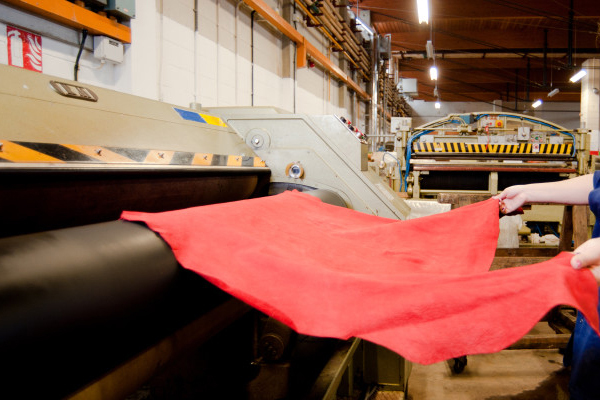 It also deals with the synthesis of artificial leather and its efficient use to make commercial goods. A career in Leather technology is a lucrative option these days. Until a few years ago, those who happened to be in the industry came up through experience rather than through any formal training. But now with this industry advancing and developing both technologically and professionally, it calls for qualified professionals to cater to the needs and requirements of the people. To cater to the need for qualified hands, many institutes and colleges have come up providing diploma and degree in this field. Leather industry is mainly concentrated in and around Agra, Kanpur, Kolkata, Mumbai and Chennai. There are three main areas of work in the industry: namely designing, manufacturing and marketing. Designing involves creating new patters according to fashion trends. Computer aided Design (CAD) is used in this field. Manufacturing involves mass production of designs approved by designers. Marketing ensures a ready market for finished products. Leather industry is a labour intensive industry that can be started as a low cost-intensive small scale unit, as it requires relatively small investment, cheap labour, raw material and minimal power supply.